Like Japanese fashion and pop culture, Japanese film remains in the international vanguard, blending traditional genres and classical forms with cutting-edge technology and dazzling imagery. This year’s 9th annual Japanese Currents series highlights recent noteworthy Nipponese films, ranging from anime to jidaigeki, documentary to comedy, all while exploring issues important to contemporary Japanese society. Collectively, these selections offer a fresh take on Japanese culture and showcase the wealth of creative invention at work in Japan today. Hachiko Hojo (Yuko Oshima, formerly of pop idol group AKB48) is an unassuming, hard-working attendant on the Romance Car—so named because of its side-by-side seats without armrests between—a luxury tourist train that carries visitors from Tokyo to outlying destinations. On a normal workday, she meets a snaky film producer (Koji Okura) who tries to steal items from her concession cart. This simple act propels the two on a wayward journey to the stunning town of Hakone; there, the trip quickly becomes one of personal exploration and reflection as they develop a strangely honest relationship in which the layers of their personal histories slowly peel back. 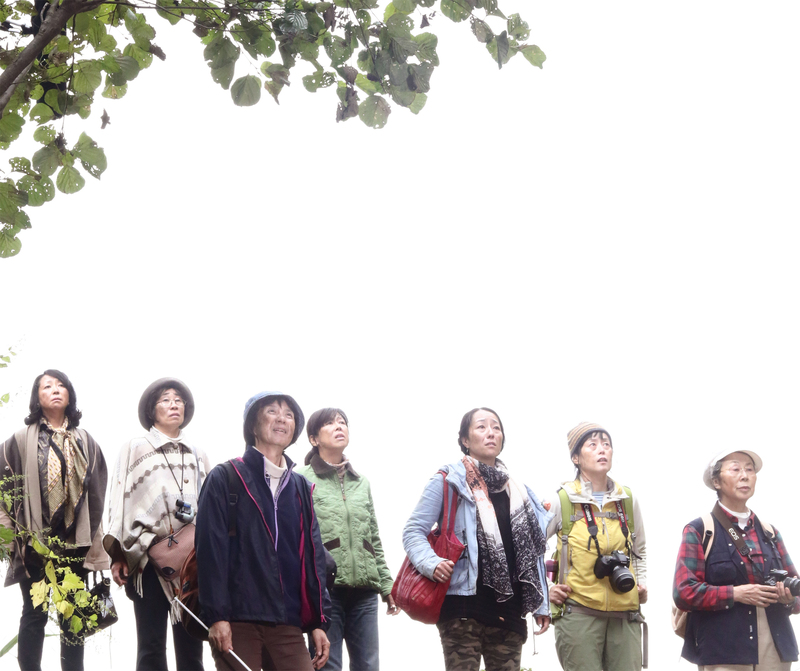 Our Portland Sister City colleagues at the Sapporo International Short Film Festival in Sapporo, Japan, return with a new program of highlights from this year’s tenth annual event. The program of new Japanese shorts includes A.T.’s SOCIOPATH, which revolves around a meeting between a normal girl and a mysterious, strange android; Kristof Sagna’s SAVAGE NIGHT, where a castoff baby is discovered by a prostitute working for the mafia, with potentially damaging consequences; Shigeyoshi Tsukahara’s JOSEITO, a look into the daily life of a schoolgirl during the Showa period; Toshimichi Saito’s A WARM SPELL, which follows Naoki, a young man at a crossroads following his mother’s funeral; Yu Shibuya’s THE APOLOGY, a poignant story of an apology that comes 100 years after the incident; and Atsuko Hirayanagi’s OH LUCY!, in which Setsuko, a 55-year-old “office lady” is given a new perspective on her identity when a colleague gives her a blond wig. 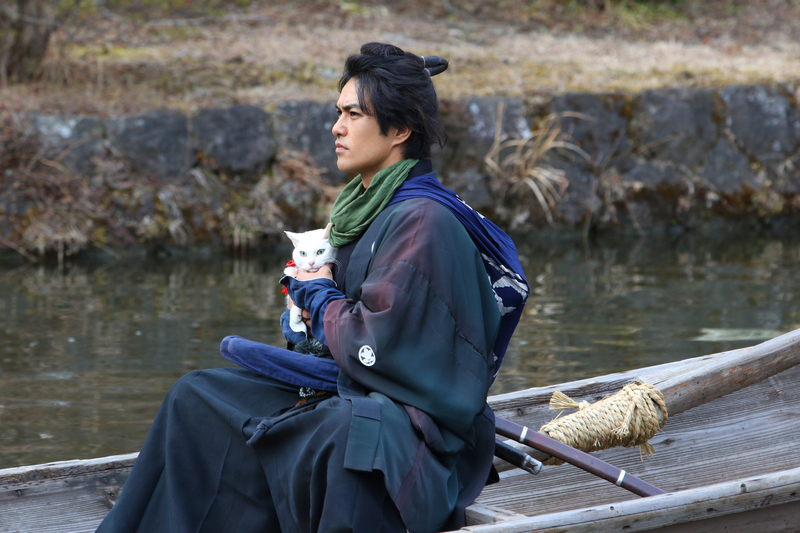 The beloved cat/samurai duo that charmed audiences in SAMURAI CAT are back in an adventure which finds our heroes Tamanojo (cat) and Madarame (samurai, Kazuki Kitamura of THERMAE ROMAE and KILL BILL fame) marooned on the remote island of Shikokou after Madarame goes out in search of work—turns out being a “cat person” doesn’t pay the bills in feudal Japan. When the not-so-fearless pair begin searching the island, they discover a local tribe that immediately starts to worship Tamanojo as a god, and will do anything to make her theirs—forever. But will Madarame roll over so easily? Buddy comedies come in many flavors, but few are quite as charming as Tsukikawa’s latest, which pits a mild-mannered corporate lackey and a teenage wannabe gangster in a fierce battle against the yakuza and the corrupt mayor of their unnamed city. A decidedly cute kidnapped baby is at the center of the action, which revolves around the mismatched pair’s attempts to keep the child free from harm while trying to thwart the mayor’s nefarious redevelopment plans and misguided attempts to hold on to his office despite a strong challenge from a new contender. Along the way, the two learn a great deal about themselves, their society and the perils of co-parenting. 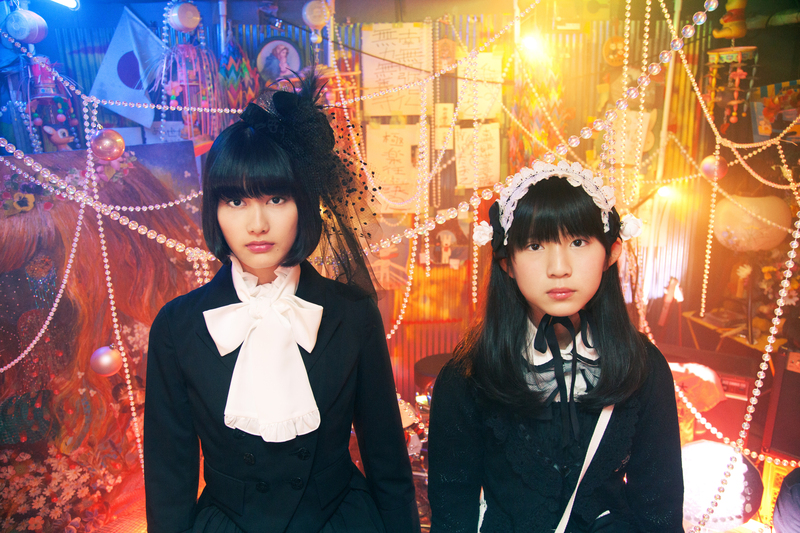 Reminiscent of the early work of Michel Gondry but carving a path uniquely its own thanks to a decidedly rough-hewn aesthetic and a playfully dirty sense of humor, HARUKO’S PARANORMAL LABORATORY is one of the oddest and most eccentric films you’re likely to see this year. Lonely twentysomething Haruko (newcomer Moeka Nozaki) talks incessantly to her TV, but is more than a bit surprised when one day the TV sprouts a face, a body—and, most importantly, develops emotions. 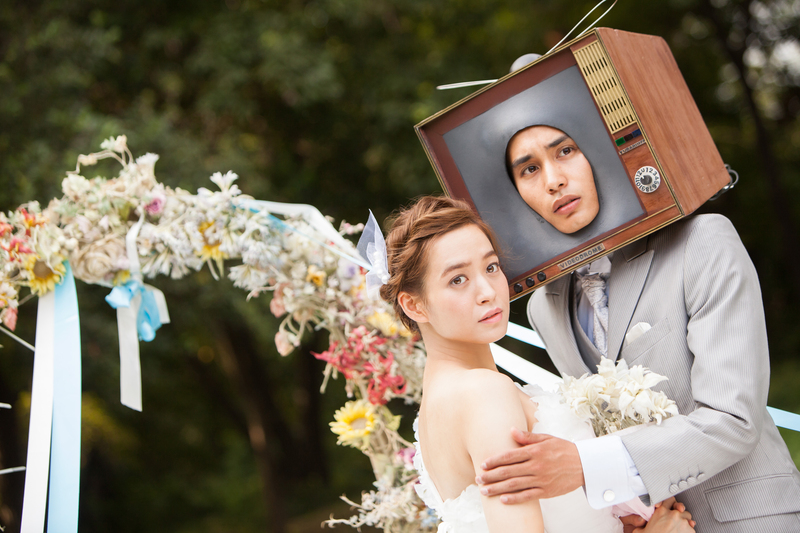 She gets more than she bargained for, however, as her new TV-man “boyfriend” becomes famous, adored by women across Japan. “Psychedelic, slightly twee but abundantly inventive.”—The New York Times. Yamasaki’s highly inventive take on the jidaigeki (historical drama) concerns a group of rural farmers treated poorly by tax authorities in the 18th-century Okayama town of Sanchu. On the verge of starvation, the farmers protest both the rising tax rate and the lack of access to the crops they grow... until samurai are dispatched to keep them under control. A devastating uprising appears inevitable. Combining glorious black-and-white cinematography in natural-light situations, animation, and an inventive final sequence that transports us to the modern day, SANCHU UPRISING is both unique in style and compelling in its theme of wrestling with difficult choices. An aimless young man still living with his parents well into his twenties spies a mysterious black orb floating in the corner of his bedroom. Transfixed by the moon-like object, he cannot move. Subsequent visitors fall under the spell of the orb until a full-fledged police operation is underway to investigate the mysterious epidemic. As (almost) everyone trapped in the room begins to “thaw,” a young, hungry journalist begins an investigation into the exact cause of the supernatural event. An explanation, however, will be tough to ferret out, considering the largely vegetative state of the survivors. “This enigmatic, deadpan mystery just might be a comment on the social malaise and inertia of 21st-century Japan.”—New Directors/New Films. As the swan song of Studio Ghibli, one of the foremost animation studios in the world, WHEN MARNIE WAS THERE occupies a unique place within a filmography of unprecedented beauty and invention. After an asthma attack, shy and withdrawn schoolgirl Anna is sent to a seaside resort by her foster parents to live with her aunt and uncle. Upon her arrival, she happens upon a seemingly abandoned house, but a young girl, Marnie, says she lives there. Anna and Marnie quickly become friends, but is Marnie a real girl or just a figment of Anna’s imagination? 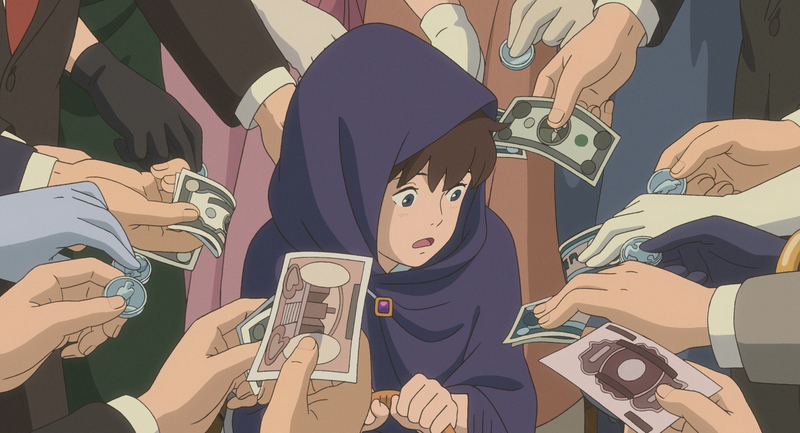 “Just as Marnie and Anna’s fates are intertwined, just as history and the present exist in the same moment in the film, what Ghibli has meant to the world can’t be extricated from its last, beautiful cinematic gift.”—Rogerebert.com. Incorporating live video feed-style footage, text message overlays, and more than its fair share of on-screen emoji, Matsui’s film is a freewheeling peek into the world of teen fascination with fame and identity, focusing on Shiori (Ai Hashimoto), a small-time model struggling to boost her career via her interactive blog. She has one admirer: overly shy Ayumi (Jun Aonami), who has a habit of dressing in the same garb as Shiori and following her to shoots. The film amplifies their unorthodox friendship with liberal forays into fantasy and a clever regard for adolescent fickleness and internet-era indulgence. Funahashi’s initial film, NUCLEAR NATION (2012), movingly followed a year in the life of refugees from the 2011 Fukushima nuclear disaster. Compelled to follow up with a longer-term chronicle of the impact of the earthquake and its ensuing tragedy, his new film provides a sober look at the lingering realities of thousands of people displaced from their homes and the radioactivity still spreading throughout Fukushima prefecture and beyond. 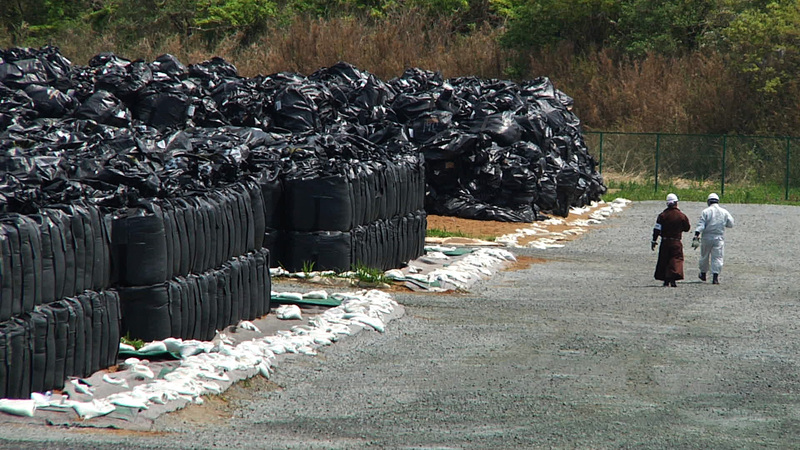 Through Funahashi’s lens, we see town hall meetings and hear from locals still affected by the lagging cleanup and decontamination efforts—but Funahashi spares no one as he highlights the rampant infighting obstructing relief efforts. A vital document of a massive catastrophe with no end in sight.